This is a NJ attraction that’s been around for a few years, but this is its last summer. So H is just old enough to check it out, and I thought it was great. 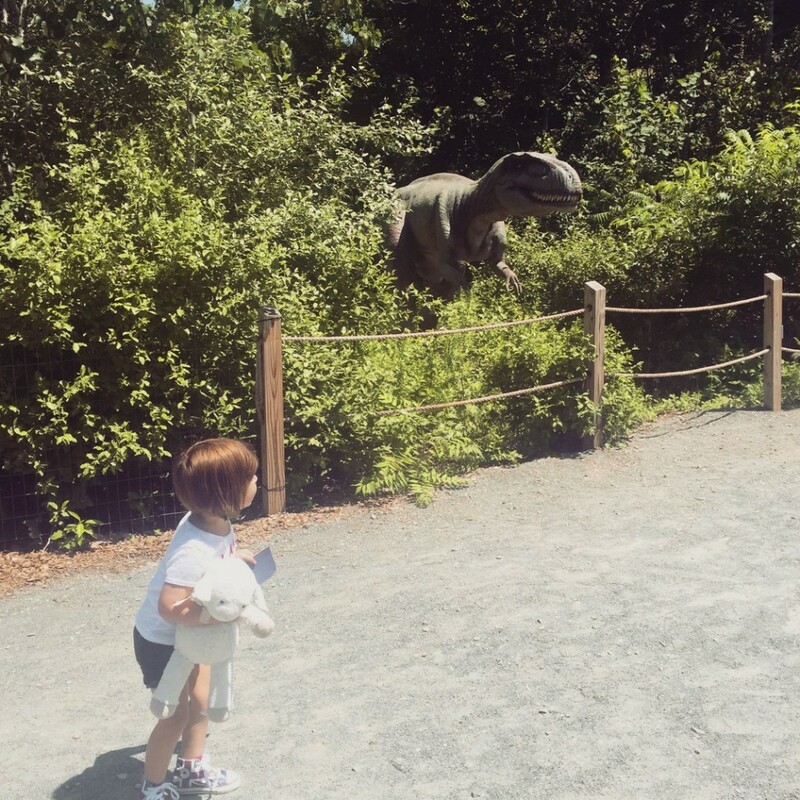 She was fairly suspicious of the dinosaurs, but this was her field trip choice last week. I gave her a choice between Lego store and dinosaurs, and when you have the chance to pick dinosaurs you pick dinosaurs! 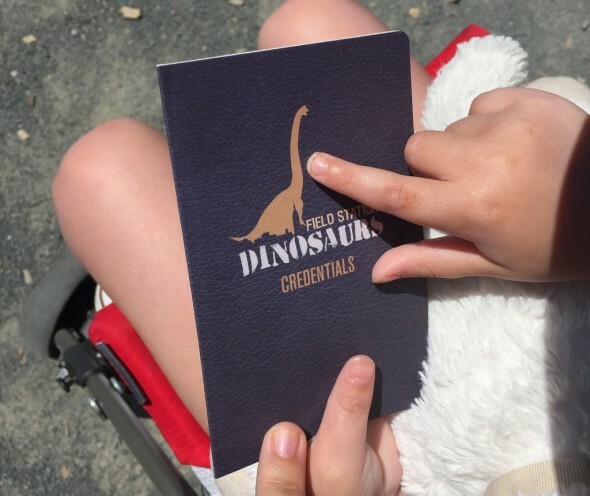 A park ranger gives your child their “credentials” as soon as you enter, and H held on to this little booklet like the official document it was. We only ended up with a stamp and a sticker, but if she was older we would have tackled all the activities for a stamp bonanza. But she is 3, so we really just walked the trail inside and snuck up on unsuspecting dinos in the wild. I don’t think she was ever really convinced that they weren’t real. 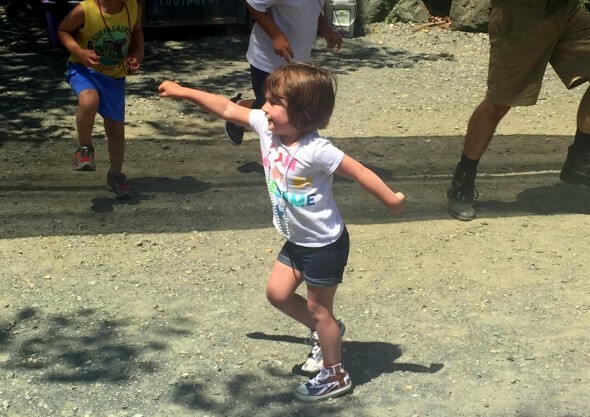 She did love the dino dance party, though. That was where we got our 1 stamp. 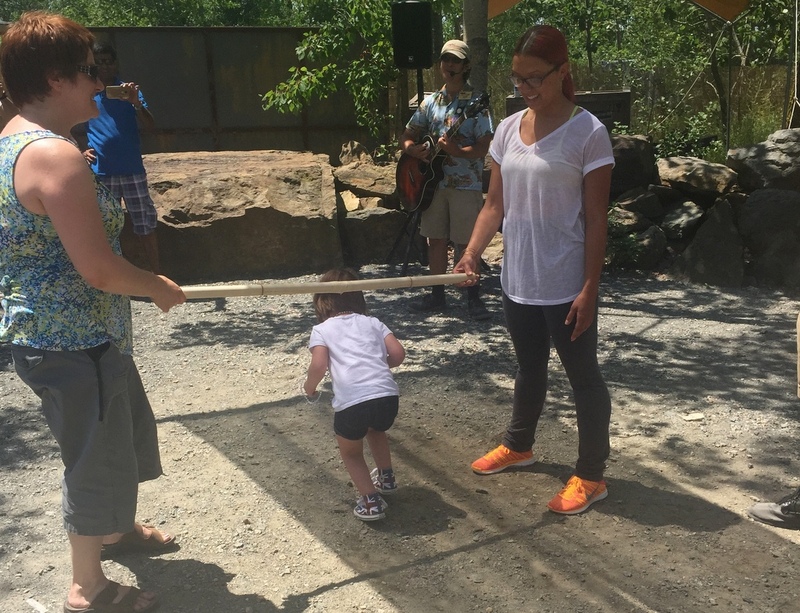 She even limbo’d (this is her version of that dance classic). The T-Rex is at the end of the tour, and by then H was full of suspicion. That photo at the top of this post is my favorite, she just would not walk in front of any dinosaurs. 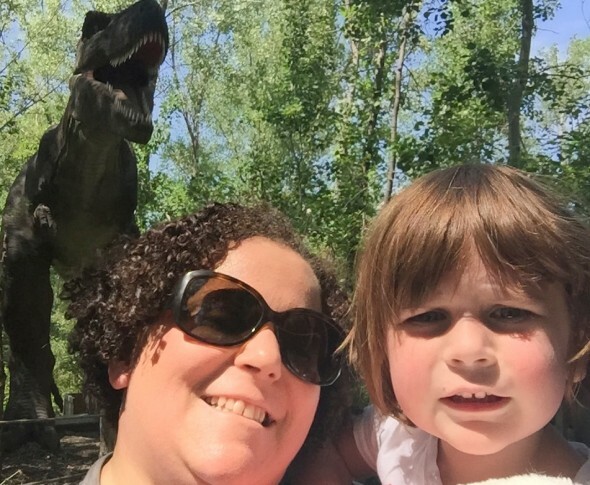 We posed for some T-Rex selfies, and since she could see the dinosaur behind us on my phone, she was less than thrilled about it. 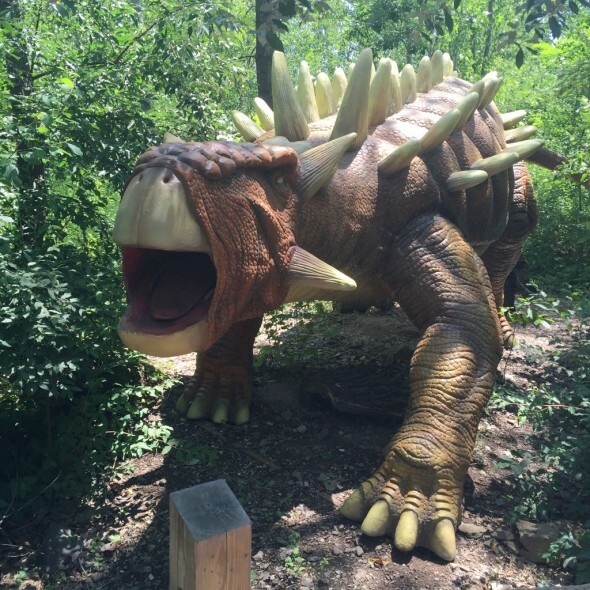 But, if you see a T-Rex while meandering on a path with heavy foliage, you take a selfie with it! Right? 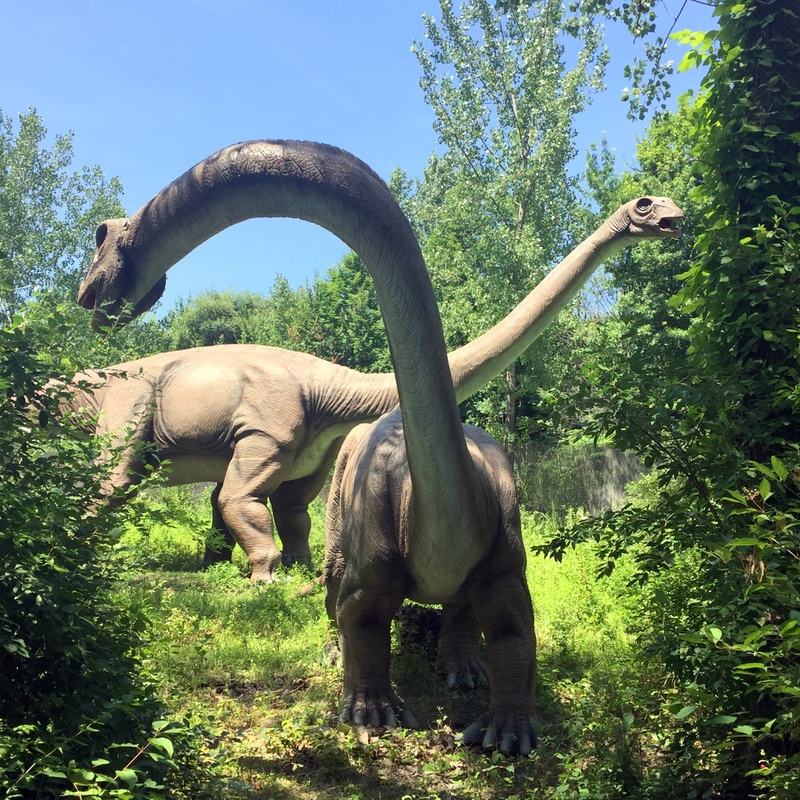 I’m pretty sure this is what Jurassic Park taught us all.